Looking for good reads online? Want to drive more traffic to your blog, keep up with social media trends, cookbook trends, and food writing trends? Yeah, me too. Peaches in April! 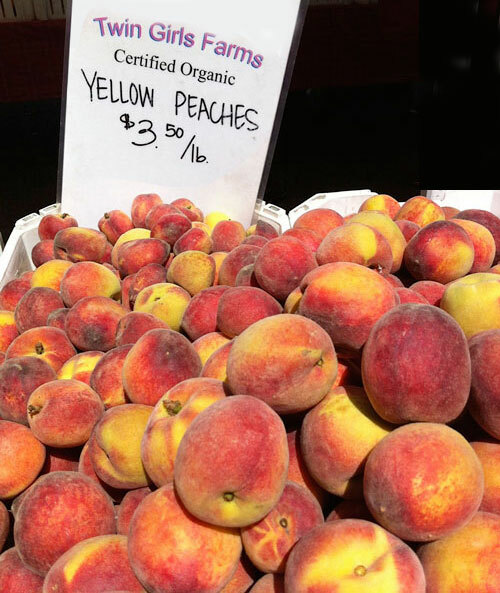 Thanks to climate change, these appeared at my Oakland, CA farmer’s market last weekend. Who has time to keep up with everything going on in our food writing world? You do! Just click on the peachy links below, especially the fun ones. 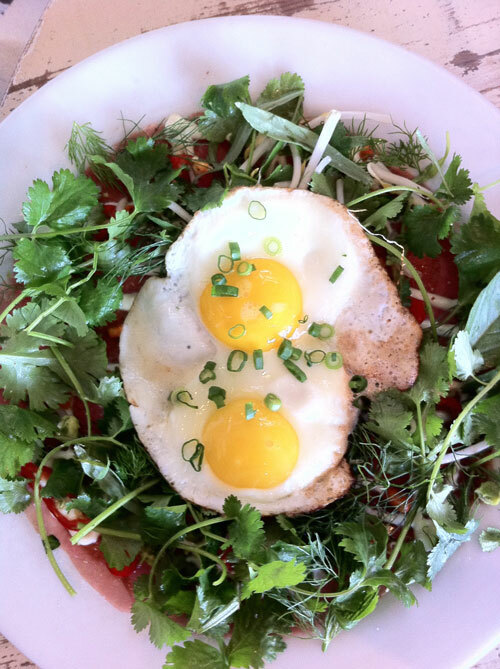 Steak tartare, fried eggs and Vietnamese herb salad, an unusual combo but it worked beautifully for brunch. I adore links that teach me how to be better at what I do. Sometimes people send them to me, and sometimes I discover them online. I cull through dozens to find the best information for food writers. As a result, these kinds of lists are some of my most popular posts. This particular list came from my last quarterly newsletter. I’m collecting links now for my next newsletter on March 30. It’s free and won’t clog up your inbox because it only shows up 4 times per year. So please consider signing up. How to use the DMCA to prevent people from stealing your online content. To see what’s trending online in recipe searches, here are sites to visit. 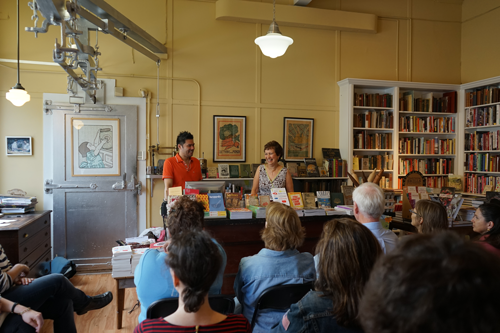 Heidi Swanson of 101 Cookbooks writes about maintaining a long-term blog. How Ten Speed Press became a cookbook powerhouse. Here’s what happens on a cookbook shoot. If you write about special diets, here’s an excellent exploration into the gluten-free craze. Why is it so hard to catch your own typos? Need a media kit for your blog? Here’s a free template. If you want to become a star, start your own YouTube cooking channel. Mark Bittman changed the way he writes recipes for his newest cookbook, and says we’ve all been doing it wrong. To pitch newspaper food sections on your latest book or a story, here’s a helpful chart. Food magazine editors moved around a lot last year. Eater has a chart. If you want to write long-form journalism, Eater is interested. If you take ads on your blog, you might want to know which ad network has the biggest market share. Here are classic New Yorker stories about chefs, free to read. Like Food Memoir? Here’s a long list of the best ones, according to a reviewer at Abe Books. 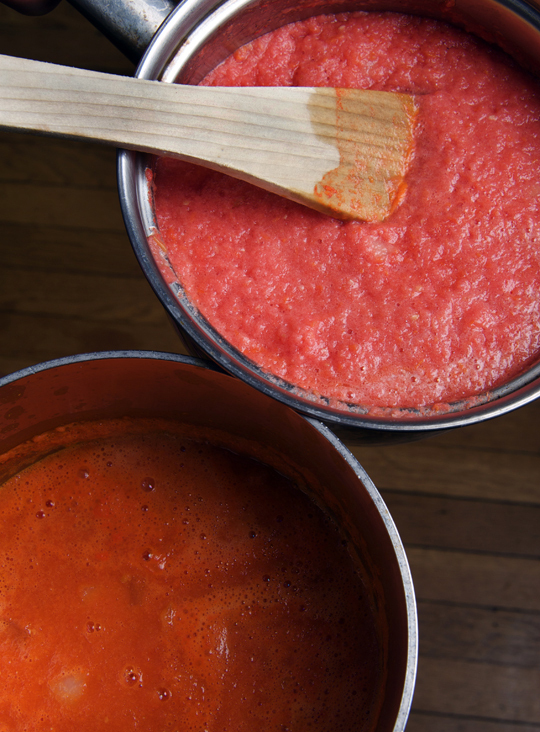 Vibrant tomato sauces, captured courtesy of photographer Donna Ruhlman. Who has time to keep up with all the tips and irresistible stories on the Internet? 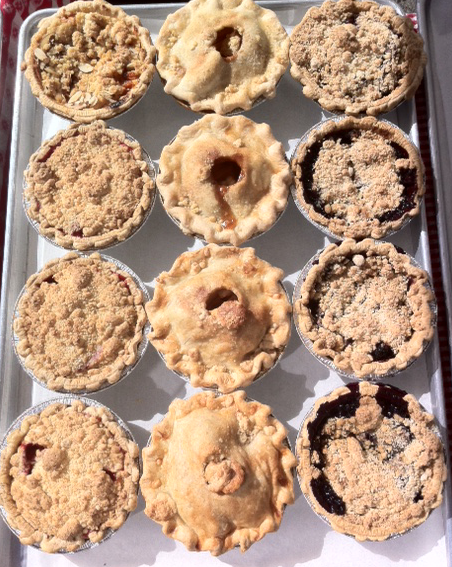 Summer pies from my local farmer’s market in Oakland, CA. Want to keep up with best practices for writing a food blog or cookbook, freelancing, or working with companies? Need a link to something fun once in a while? Of course you do. Do you have a media kit so companies can contact you? If not, you might consider making one. Big companies expect it. I’m working with a cookbook editor right now, and these tips are good reminders. Top 10 Ways to Make Your Editor Love You. 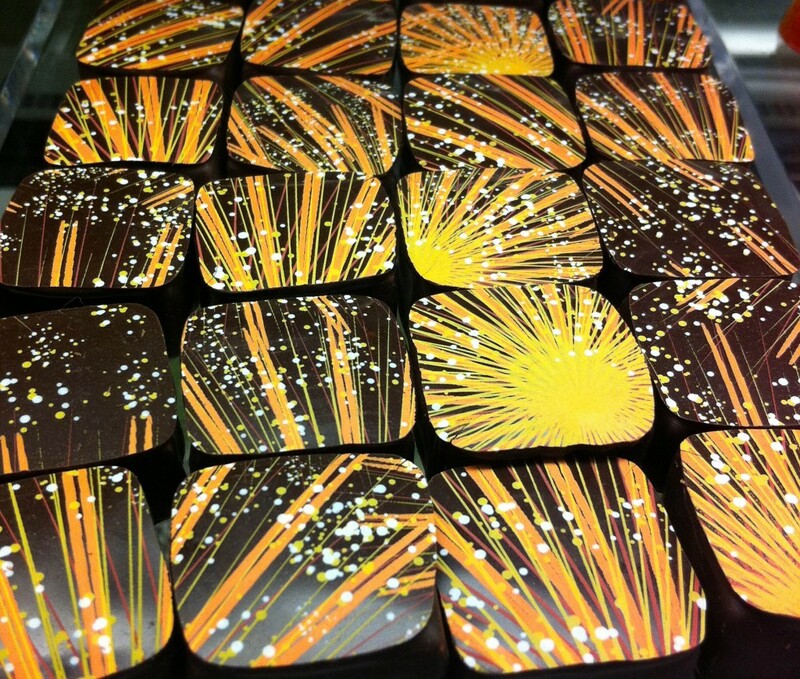 Champagne chocolates on display at Dean & DeLuca. 1. How Much Should I Charge? Part 1 and Part 2, from the Food Bloggers of Canada website, details all the issues to consider, particularly in Part 2. 2. Publishers Weekly did a good webcast recently about selling single subject cookbooks in unusual places. 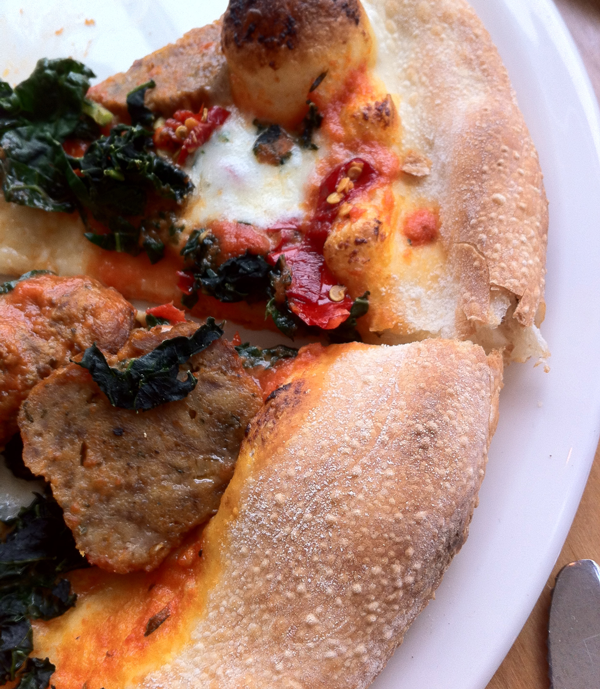 What I’ve eaten lately: A kale and sausage pizza from Lungomare, an Italian seafood restaurant in Oakland, CA. Wondering how to get ahead? My quarterly e-newsletter is filled with links on best practices and ideas for book promotion, social media, freelancing, writing and blogging. Here are some of those terrific links, the best of dozens I’ve culled through in the last few months. If you’d like to subscribe, my newsletter is free. Please sign up here. 1. For tips on book promotion, read 31 Ways to Find New Readers, Outside of Your Network.